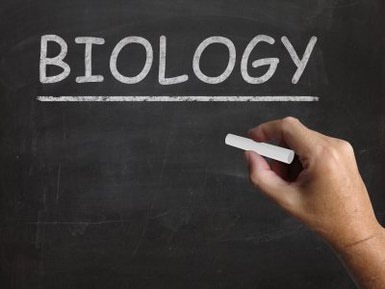 Biology and the Bible: Can they be friends? I have two college degrees. Bible and Biology. Some people might think that those two topics are like oil and water, i.e. they do not mix. I wholeheartedly disagree. Not only can they go together but they even support each other. Keep reading and see if you agree with me. For an object to be considered living, it must demonstrate the following 6 characteristics. There it is. The filter of questions that can be asked of literally anything. If the “thing” in question has a positive response for all 6 categories, it is living. To make this more easily understood, ask these questions of yourself. Do I have cells? Yes. Are those cells organized in some way? Yes. Do I use energy? Yes. Do I maintain a stable internal condition? Yes. Now let’s take a look at the Bible. Please read I Peter 1:3, “Praise be to the God and Father of our Lord Jesus Christ! In his great mercy he has given us new birth into a living hope through the resurrection of Jesus Christ from the dead,.” For the whole chapter, click I Peter 1. Let me focus on two words, living hope. Hope is a great thing. In fact, you can read some of my earlier writings about Hope. But we can be born into a living hope. That seems to be better than just regular hope, right? Let’s mash things up and see what we get. Does my Hope have cells? Yes. 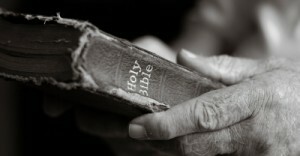 I can read about my hope in every book of the Bible. I can talk to other Christ-followers. I can pray and worship. Are those cells organized in some way? Yes. Church is organized. My Bible is organized. Even my prayers can be organized. Do my Hope use energy? Yes. Following Christ is work but that Hope keeps me motivated! Does my Hope maintain a stable internal condition? Yes. Regardless of what is happening outside, my hope remains stable on the inside. Does my Hope grow? Yes. Certainly! My maturity level goes up which in turn allows my hope to increase as well. Can my Hope reproduce? Yes. When I share my hope with others, I am, in essence, reproducing what God has done in me. And there you have it. You have just successfully blended the Bible and Biology. Now go and enjoy the living hope into which your were born!